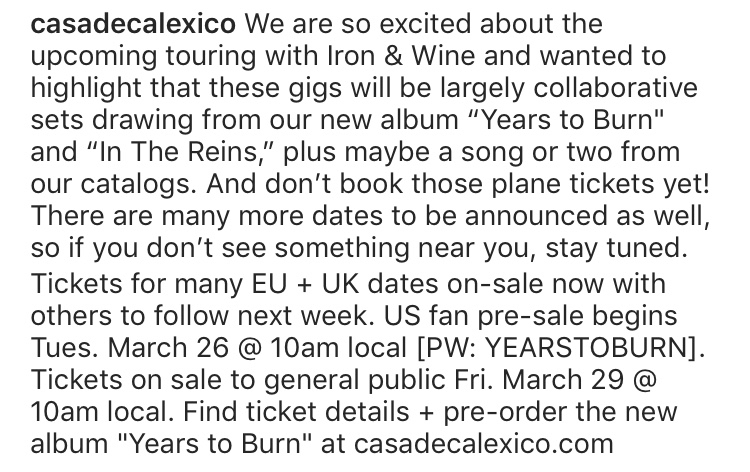 New Calexico / Iron & Wine collaboration album coming out on June 14th. I loved "In The Reins" and I'm super excited about this! Another added ingredient was engineer Matt Ross-Spang, whose recent resume includes producing Margo Price’s Midwest Farmer’s Daughter, working with Memphis legends like Al Green in the Sam Phillips studio that’s now Ross-Spang’s home turf, and winning a Grammy for mixing Jason Isbell’s album Something More Than Free (another Sound Emporium project).Ross-Spang was assisted by Rachel Moore; he shares production credits with Beam, Burns and Convertino. Sweet. 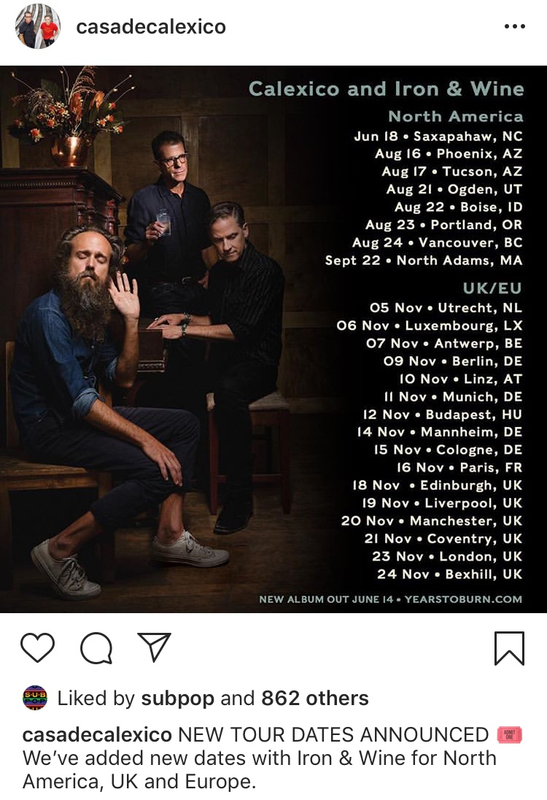 I hope they tour on it, too. 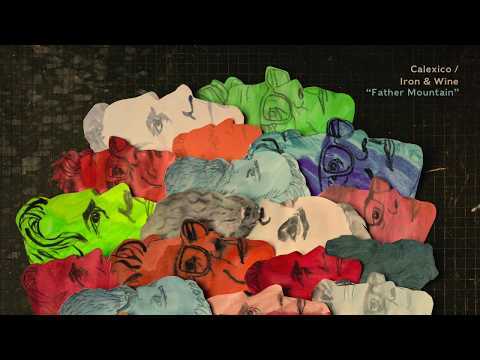 In the Reins is fantastic, what a pleasant surprise to see a new album. Couldnt order this quick enough. Shame we have to wait until June. I had ordered the Endless Numbered Days deluxe vinyl but questioned whether I needed another copy of that album just for a few demos so cancelled it, it pained me to do as I have every other I&W record. Im trying to avoid having multiple copies of things. If anyone doesnt have it then Beast Epic is also very good. Pumped for this. Bummed Sam isn’t bringing it to his former hometown. Austin and other dates added. Pumped!